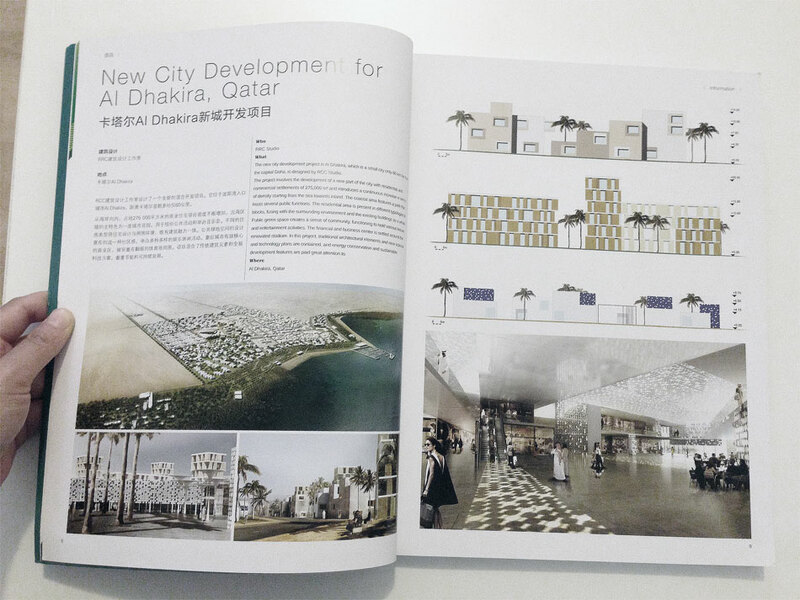 The new complex is located within the expansion of Al Dhakira, city placed on an inlet of the Persian Gulf, only 60 km away from the capital Doha, is set as the commercial-directional core of the new urban development. 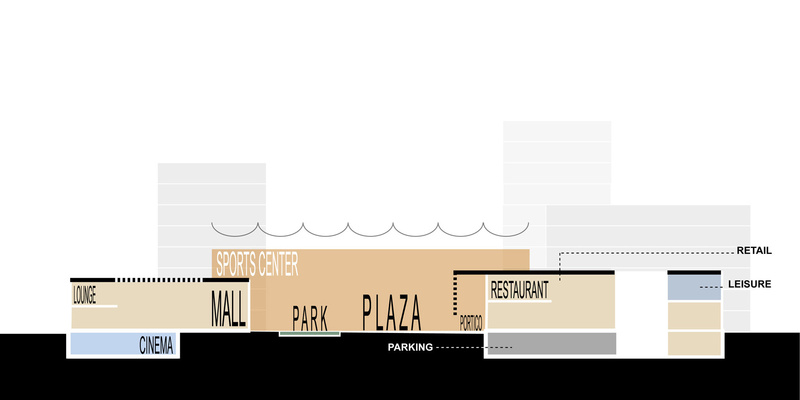 The shape and placement of the buildings create a closed urban space, a sort of a big square built around the new sports center where the commercial buildings overlook with large windows and porticoed spaces. 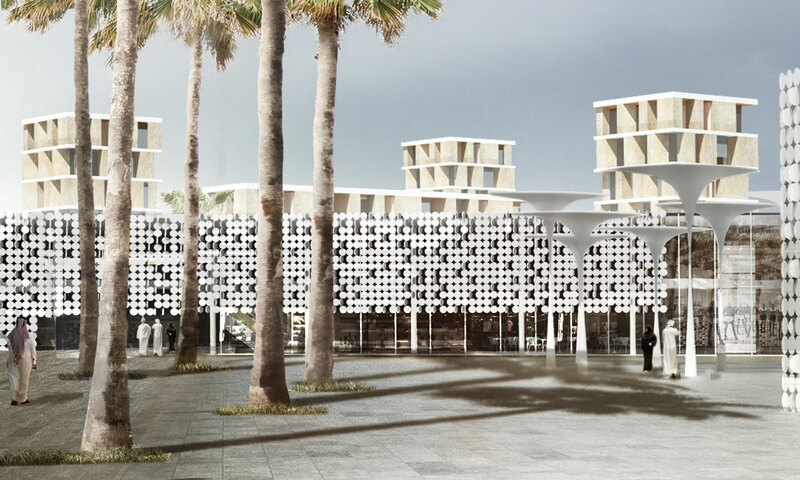 The architectural design indeed presents two different formal results which characterize the interior, toward the square, transparent and porous, and the exterior, toward the residential areas, solid and essential, in order to invite the user to enjoy the interior spaces of the complex. 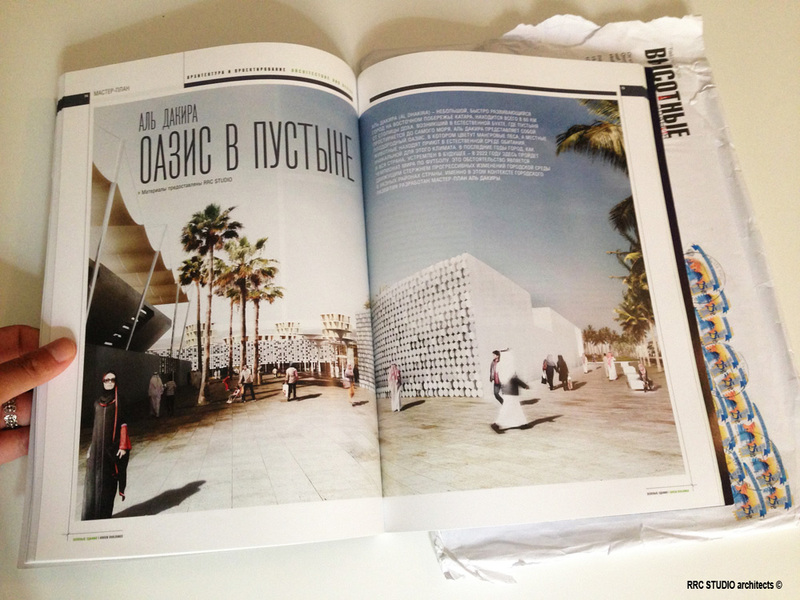 Each single building, composed of different levels, is set as a container of the commercial and leisure activities, accomodating, besides retail spaces, several activities such as the cinema, the library, exhibition spaces and an indoor square with restaurants and bars. 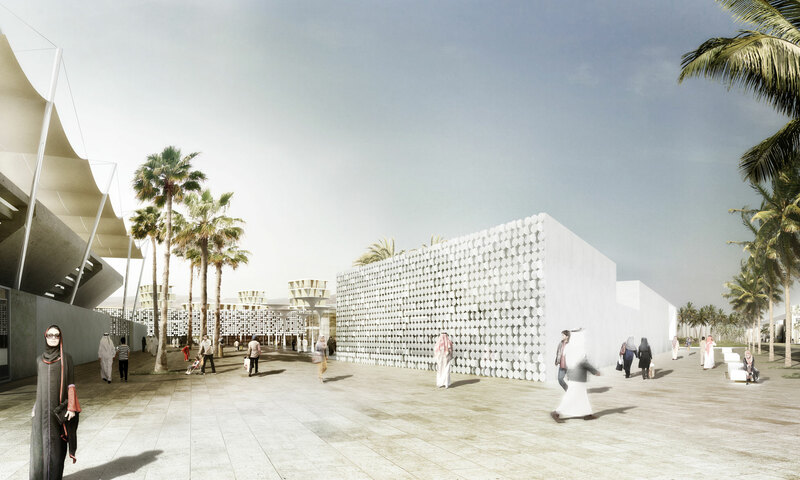 The building, on the facade and on the roof presents a modular skin made of a steel structure and circular ceramic tiles; this solution, through the use of integrated technological systems, allows the control of natural light into the building in order to reduce the need for electrical lighting. The building, besides this light control device, presents several other advanced technological systems which facilitate in example natural ventilation or control the internal microclimatic comfort to make the complex an example of sustainable architecture.